His exit was abrupt and unceremonious. I stood in the stands Sunday afternoon at Levi Stadium, and watched Jim Harbaugh jog off the field for the last time as the head coach of the San Francisco 49ers. Many fans, like myself, stood watching, in a state of perplexity, wondering if the rumors were true. Maybe we were in a bit of denial, knowing that the inevitable was about to transpire. By the time it took me to walk from the stands to the shuttle (about 25 minutes), the announcement had been made. The San Francisco 49ers would be parting ways with the best thing that happened to them in the last 15 years. And just like that, Harbaugh was gone. As I reflected on this issue during the shuttle ride back, I couldn’t quite comprehend how one of the winningest coaches to come to the Bay Area could be let go. I understand that there were philosophical differences between Harbaugh and the front office, particularly 49ers CEO Jed York. I understand that Harbaugh desired more control within the organization. 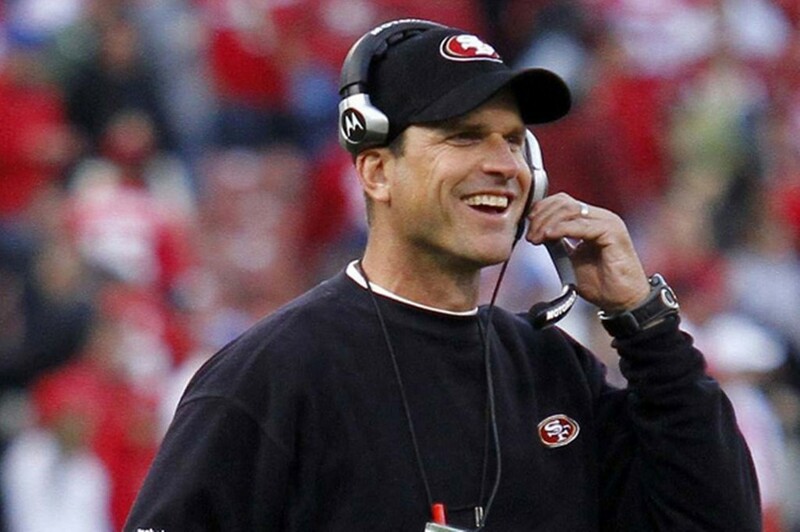 I understand Harbaugh asked to be the highest paid coach in the NFL. I understand Harbaugh had an ego that was difficult to manage at times. I understand that Harbaugh wasn’t the easiest person to get along with. And most of all, I understand that the 49ers had a disappointing season, hitting rock bottom after losing to the Raiders. But what I do not understand is, why not salvage the aforementioned issues for the sake of the organization. All Harbaugh has done for this organization is win. Whether or not his coaching philosophy is unconventional, unfavorable, or complex; the bottom line is that its EFFECTIVE. Harbaugh has gone 44-19-1 since taking the head coaching position four years ago. This includes three consecutive NFC championship appearances and a Super Bowl appearance. He inherited a team that went 6-10 in 2010 and immediately turned them into Super Bowl contenders. The rest is history. If he asked for the big bucks, give it to him. For crying out loud, he has earned it. If his ideologies are a bit difficult to handle, deal with it. After all, he’s not the only high profile coach that has an ego. As a matter of fact, most successful coaches have egos. It comes with the territory. The problem the 49ers face now, is bringing in a new coach that will match Harbaugh’s success. The pressure will be on the incoming coach to produce. And most importantly, he would have the gain the respect of the athletes, front office, and fan base. Not a simple feat in San Francisco. In his press conference on Monday, York said that there’s one expectation that he has with any coach. “To win a Super Bowl”. While that is a legitimate expectation to have with any franchise in the NFL (after all that’s why you play the game), the reality of the fact is that it will not happen year after year. Harbaugh revitalized this team and turned them around. Because of his success, everyone is San Francisco is immuned to winning. Mr. York, good luck getting a coach that will come in and win a Super Bowl with the 49ers next year. Unfortunately, the guy that’s capable of doing that, you just dismissed.